Move over kids –adults can have fun with pumpkins too! This Halloween accessorise your home with pumpkins that are more chic than creep. According to Pinterest, these are the prettiest pumpkins to use as Halloween decorations –especially if, like us, you’re more sophisticated than spooky. From pumpkin plant pots to table decorations and mantel piece displays, there are plenty of ways to use pumpkins this October that don’t involve children or soup! 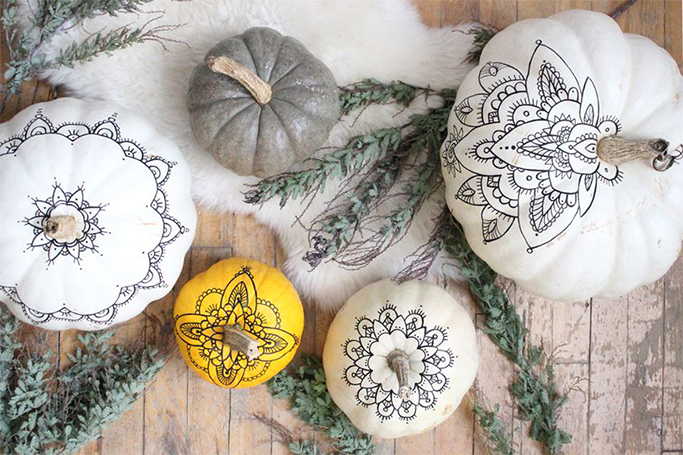 Although the kids will love a home decorated in these stylish pumpkins. Whether you’re hosting a Halloween party or you just want to get involved with the fall festivities, are here some unique pumpkins to inspire you…orange is the new black! #12 Unicorns are Spooky, Right? !